We are the leading manufacturer, supplier, wholesaler and trader of Paper Reel To Sheet Cutting Machine to our valuable clients. To meet diverse requirements of our prestigious clients, we are engaged in providing an excellent range of Semi Automatic Paper Reel To Sheet Cutting Machine. Only high quality raw material is used while manufacturing the offered machine, for increased compliance with international standards of quality. 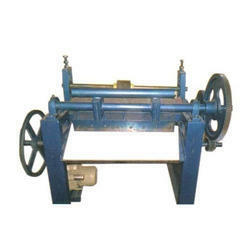 The offered machine is highly appreciated among clients for its high performance and compact design. Apart from this, our range is offered in different specifications and can be customized, as per precise needs of our clients and at highly competitive prices.